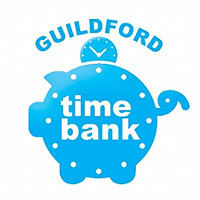 The Guildford Time Bank is about local people helping and supporting each other in all kinds of different ways - through practical help, skills sharing, personal support or tutoring. Anyone can join, as everyone has something to offer and there is no regular commitment - you can offer as little as an hour! It could be helping someone to do their gardening, shopping or DIY or maybe you need help with things like these yourself? Give an hour, get one back - members 'deposit' their time in the Time Bank by giving practical help and support to others, and are able to 'withdraw' their time when they need help for something themselves. Please click on the 'Become a Member!' button here on our Guildford Time Bank Membership Page, if you would like to become a member of the Guildford Time Bank. If you would like more information about becoming a member of the Guildford Time Bank, or to be part of the team that helps to run it, then please contact us to find out more.